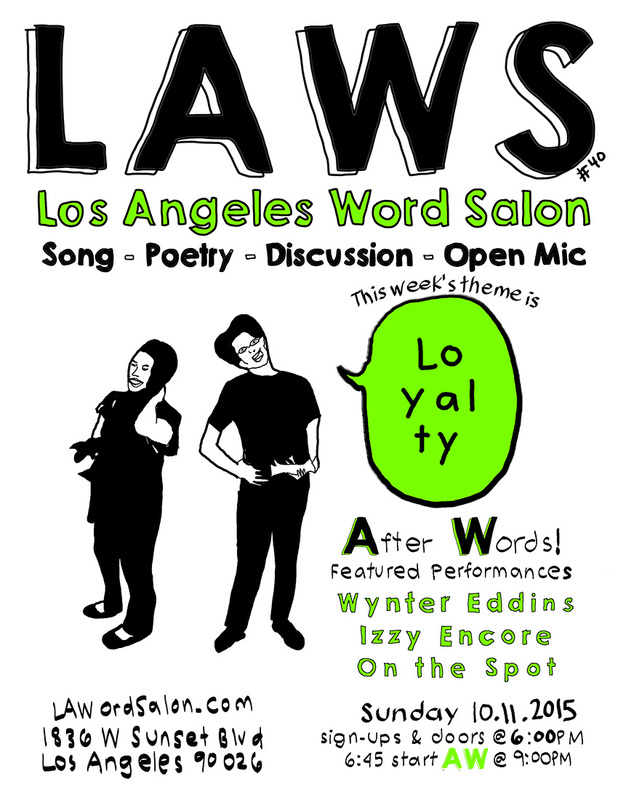 LAWS #40 Loyalty with featured performances from Wynter Eddins, Izzy Encore, and On the Spot is this Sunday in #echopark! This week’s theme is loyalty! Join us for the 40th LAWordSalon at 1836 Sunset Studios (formerly Rafa’s Lounge) in Echo Park. It’s an art gallery, music venue, bar! Cool!